Nearly every day when wine o’clock approaches, you can find me uncorking or unscrewing a new adventure. 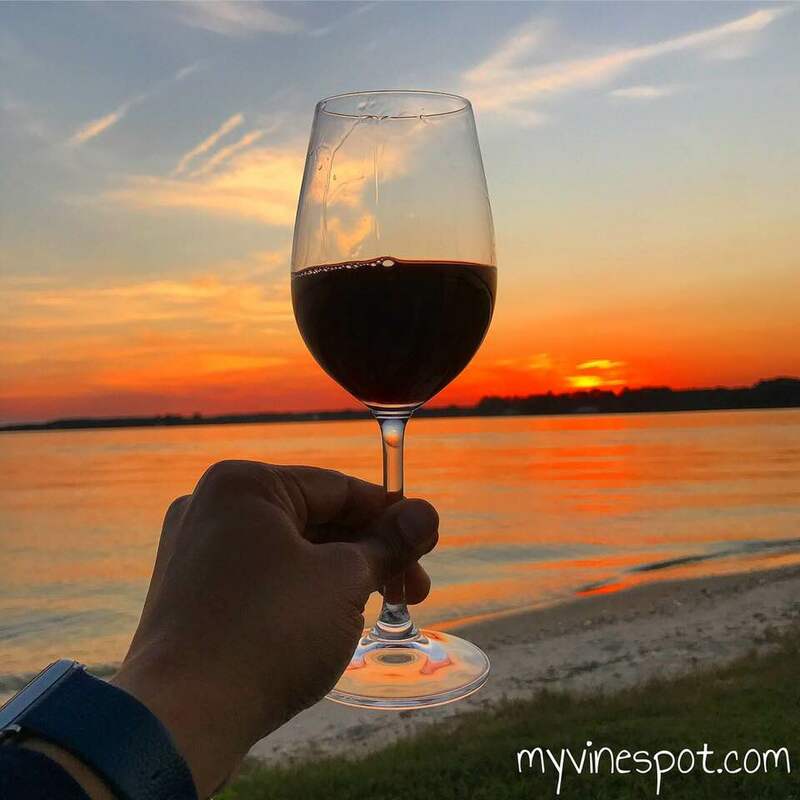 Being a wine enthusiast, a wine writer, and someone who appreciates the liquid expression of place, a person’s vision, and Mother Nature’s influence, I find wine to be one of the most intriguing beverages around. The world of wine offers endless opportunities to learn and taste new things. 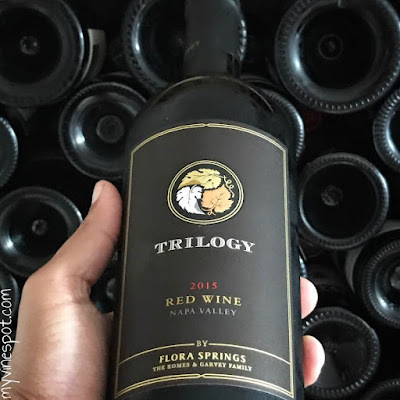 The wines featured in this post (the three Cs) are complex, complete, and compelling Cabernet Sauvignon wines. They are all from California, and from 2015—a vintage largely marked by warmth, drought, and accelerated harvest, which led to lower yields and high-quality fruit. Appealing, fruit-dominant Cabernet Sauvignon wines with big personalities are king of Napa Valley, and deservingly so. However, under-the-radar wine regions like Livermore Valley, situated just east of San Francisco, should not be overlooked—especially for medium- to higher-tier value. With the holidays quickly approaching, any of the three wines I’ve reviewed below (or all, if they’ve made Santa’s berry good list) are fabulous gifts for the wine lover in your life. They will also shine brightly at holiday dinner parties. For further information and where you can find these delicious California Cabs, please see my tasting notes below. 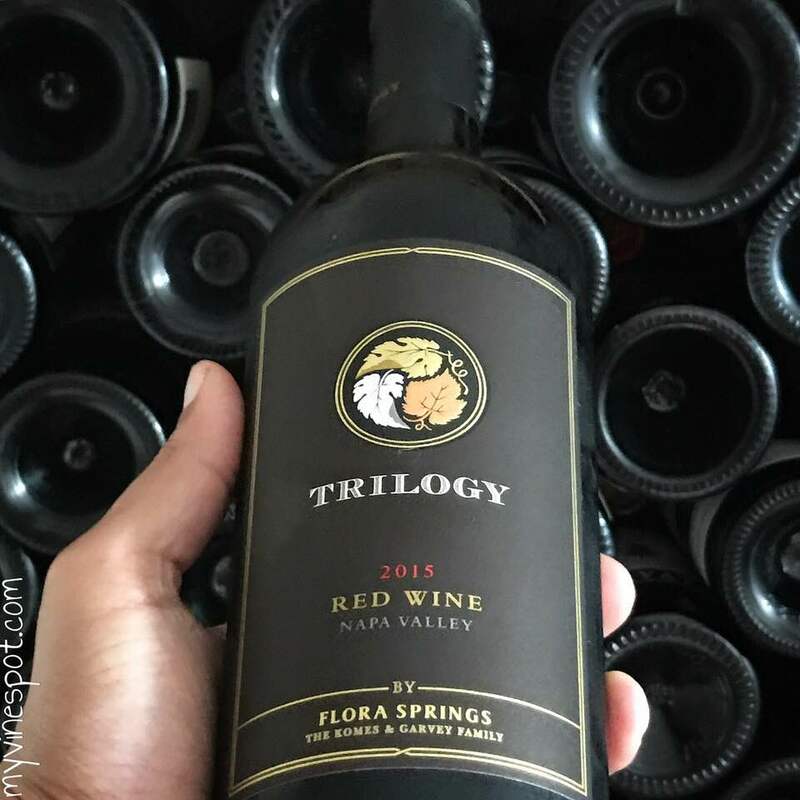 Flora Springs Winery 2015 Trilogy (SRP $80): This is one of Napa Valley’s first Bordeaux-style red blends. The creation of Trilogy goes back to 1984 (Van Halen put out a killer album that year, who remembers?). Composed of 82% Cabernet Sauvignon, 10% Malbec, and 8% Petit Verdot, this wine pours an opaque purple color. It’s richly textured, mouth-coating, and concentrated, boasting aromas and flavors of ripe plum, kirsch liqueur and mocha, with dashes of vanilla-tinged oak and bittersweet dark chocolate. There are firm yet sweet tannins—mostly notable upfront—moderate acidity, and a lasting, fruit-driven finish, quite a pleasure to sip. Think robust dinner, fire pit/fireplace, or solitary sipper with soft music and a good book. Approximately 5,400 cases of this wine were produced. Region: Napa Valley, California. Other info: ABV 14.2%, matured 18 months in 85% French oak, and 15% American oak barrels, cork enclosure. Click here to find this wine. 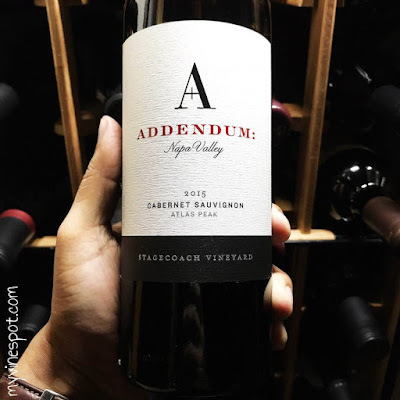 Addendum Wines 2015 Stagecoach Vineyard Cabernet Sauvignon (SRP $95): This is only the second vintage from the new wine project by Santa Barbara’s Fess Parker Winery, and the winery is off to a great start. Addendum specializes in ultra-premium, small-lot wines from select Napa Valley sites. Their Stagecoach bottling is tight, firm, and full-bodied, yet it manages to remain light on its feet with good underlying acidity. There are flavors of dried currant, blackberry, and olive—both green and black—with nuances of anise, loamy earth, and tea rose. This wine possesses good depth and length, with chewy tannins that gain on the finish. It shows power and finesse, richness and freshness—an excellent cellar candidate that will reward the patient. Only 117 cases of this wine were produced, so get it while the getting is good. Region: Atlas Peak, Napa Valley, California. Other info: ABV 14.9%, 100% Cabernet Sauvignon, matured 24 months in 100% all new French oak barrels, cork enclosure. Click here to find this wine. Murrieta’s Well 2015 Small Lot Cabernet Sauvignon (SRP $58): Murrieta’s Well is a historic property situated in the heart of California’s Livermore Valley. Founded in 1883 by Louis Mel, the estate was purchased by the Wente family in 1990 and resurrected by Phillip Wente. Their specialty is estate blends and sustainably farmed, small-lot wines. Winemaker Robbie Meyer crafted a gem here. Composed of 87% Cabernet Sauvignon, 11% Petit Verdot, and 2% Malbec, this wine is delicious upon opening (now), yet built to last. It is quite expressive. Aromas and flavors of black cherry, currant, and black berry are joined by dried herbs, cocoa powder, and complex spicy notes. In the mouth it is full-bodied with lovely texture, fine grained tannins, and lifting acidity, ending with a long, polished finish. It’s a wonderful addition to any feast. Approximately 675 cases of this wine were produced. Region: Livermore Valley, California. Other info: ABV 14.2%, matured 18 months in 80% new French oak barrels, and 30% second and third use French oak barrels, cork enclosure. Click here to find this wine. I’m forever grateful for beautiful sunsets and a rocking glass of wine. Cheers!